The main Home Office stories in the media today relate to the Home Secretary’s announcement on tackling knife crime and criticism of the government’s approach to strengthening acid-attack sentencing. There has been widespread coverage across print and broadcast this morning on the announcement made by the Home Secretary regarding the government’s plans to tackle knife crime. 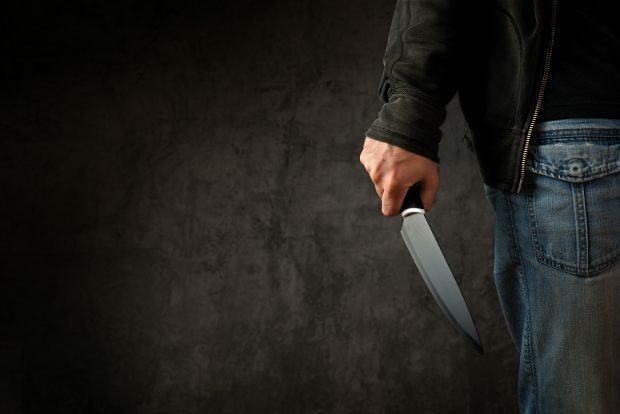 The coverage leads on the point that the delivery of knives bought online and delivered to private addresses may be banned as part of the government’s proposal to reduce knife sales to children and teenagers. Another element of the proposals which highlights that police could be given the powers to seize weapons such as knuckledusters and zombie knives if they are found in someone’s home also features prominently. The Home Secretary’s statement on this issue is below. She also wrote exclusively for the Sun this morning – you can read her piece here. Knife crime has devastating consequences. I am determined to tackle this and do all I can to break the deadly cycle and protect our children, families and communities. The action I am setting out today will help keep people safe and give police the powers they need to crack down on offenders. Prevention is also key and we will be working to educate our young people and give them the strength they need to turn away from knives. Buzzfeed yesterday published an article on criticism from a lawyer regarding the Home Secretary’s calls for tougher sentencing legislation after the recent spate of acid attacks. The website quotes Francis Fitzgibbon, QC, Chair of the Criminal Bar Association, as saying that “passing new laws alone cannot be guaranteed to eliminate crime” and “the capacity to enforce existing law is at least as important”. A comment piece in the Times today by Rachel Sylvester makes similar points, questioning the government approach on this issue. She particularly focuses on how the Home Office will license the sale of bleach – one of the key measures proposed. The Home Secretary’s statement on this issue is below. Acid attacks are horrific crimes which have a devastating effect on victims, both physically and emotionally. It is vital that we do everything we can to prevent these sickening attacks happening in the first place. We must also ensure that the police and other emergency services are able to respond as effectively as possible, to both pursue offenders and give victims the immediate support they need.